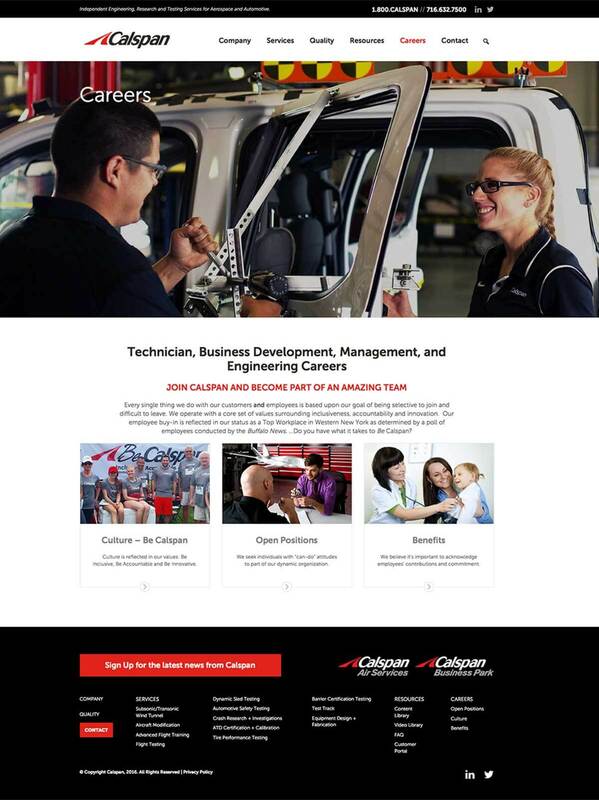 Buffalo-based, Calspan, offers various testing services for the automotive and aerospace industries. 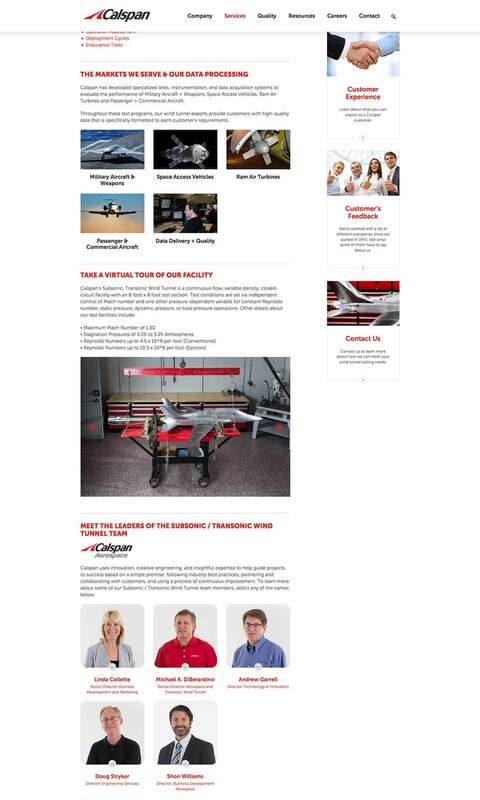 Bop Design created a new website that quickly channels visitors to the appropriate area of the website—utilizing “above the fold” visuals on the homepage so that automotive and aerospace clients intuitively know where to click. 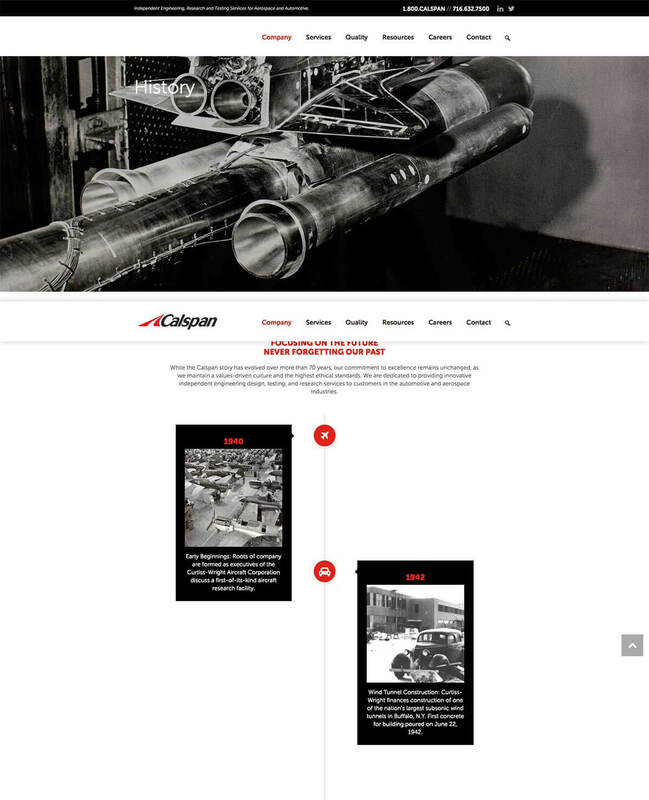 The end result is a website that prompts action—encouraging visitors to contact Calspan, download more information, download white paper, download case study, etc.